Fly fishing is one of my favourite past times, especially on the Elk River. All the concerns of the day are put on hold as you watch your fly drift in anticipation of a strike by a trout. 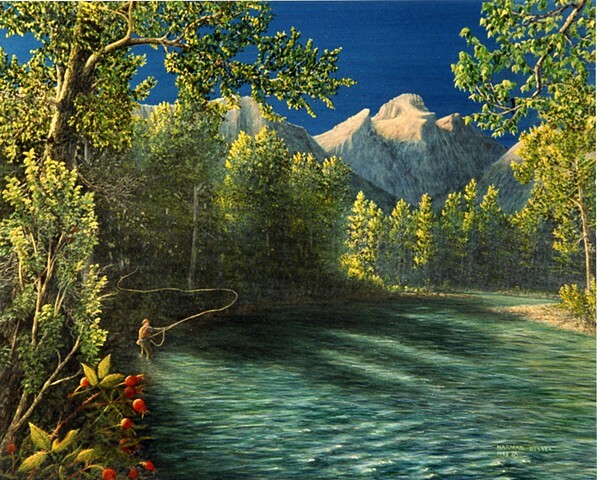 It was easy to paint this scene from my memories of many fly fishing evenings beside the Elk River.